Guest reviews are increasingly important in making big decisions about holidays. We’ve recently filled our first Guest Book at the house, so we decided to share the kind comments of our guests here. Hopefully their views will give you an idea of the strong points of the house and the area, and we hope they will help you decide that you would like to visit. Maybe you’ll be leaving nice comments yourself soon! This is the full and unexpurgated version of our guest book at the house and comments are in reverse order, so most recent first. Find further information about the house via the Accommodation menu above or contact us on the form opposite to book your holiday dates. This is the second time we have been here and not been disappointed. The house is lovely with everything you need. Just like home – even bigger. Superb location for anything that you want to do. China Kitchen takeaway excellent. We look forward to next time. Fab house with everything provided. A great base for exploring. Thank you! Fortune favours the brave! We’ve had glorious weather which has made our stay in Gower fab-u-lous! We recommend Gower Edge for sure! Thank you for the trains. Had a wonderful time despite the weather. Space amazing as are the extras provided eg DVDs, books, games shed (conservatory) ideal space for kids half in the fresh air. Just about found everything as well leave. Wonderful to hear the “wows” as each child explored. Posh food “Slice” very special. “Munch” good chef, adults only best. Copper fhist – great fish n chips. Great 4 days in a lovely house in a great location. Three very excited girls enjoyed all the toys. Great time!!! Lovely sunny week. 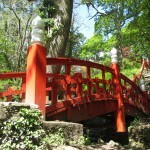 Trips to Broughton Botanic Gardens, Brecon, Carew Castle and Tenby. Catch up with family in Morrisoton. Great break spending time with our daughter at the Uni. Lovely beaches at Pwll Du and Brandy Cove. Beast meal out was Spice Grill Mumbles. They also deliver to Dunvant. Love the house and will be back! We had a great time, loved the house. Had some great times, got lost a few times. Hope to come again. Thanks. We had so much fun here in the Gower even though we had a rather big shower. We had a long walk to Worm’s Head, because of this we slept well in bed. After following the sat nav which had no idea we then got stuck in the mud on Mumbles Pier. Thank you very much for letting us stay, now we had better be on our way. I had a great time Boogie boarding and I loved the teddies in my bed. I loved the toys in my room. Fab place to stay. Used the house as a base for a surfing holiday. We stayed for ten days including a few raining ones inside and the house didn’t feel cramped at all. 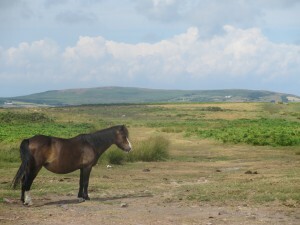 The location is great for Llangennith and Langland and the locals are friendly. Having a conservatory is a lovely bonus and was much used on sunny days, as well as the kitchen which is well equipped and practical. We hope to return. Thank you for making our weekend so special. Beautiful house in a fantastic position. This time it was only a few but next time it will be the whole family. Lovely house – so much space for all of us! Had nice weather and enjoyed sitting outside for dinner! Thanks for a relaxing and well equipped base for our family holiday! We loved the variety of living space(s), the warm rooms, the treasure trove of kids toys and games etc, the amazing selection of books and DVDs for all, not to mention the beautiful. spacious garden… and not forgetting David next door! 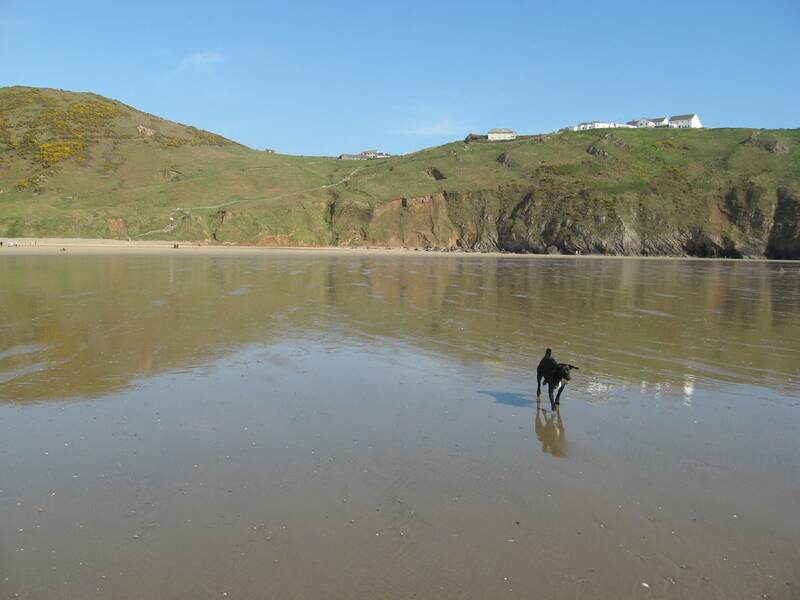 (really helpful) Heaps of happy trips too – Rhossili, Oxwich, Langland Bay, The Mumbles, Oystermouth Castle, West Cross Inn etc. Brilliant! Thank you for an enjoyable stay in your house. What an incredibly well stocked house you have. We had everything we needed and more! Our two year old is absolutely delighted with a the toys. Thanks for a lovely spacious stay. Thank you for a wonderful week. The house is beautiful and spacious and was perfect for our family stay. Dave (next door) and Chris was so helpful. Thank you, also for the chocolate “bouquet”. Hopefully we will be back! A happy stay. Thanks. Loved all the games. Gower as beautiful as ever. We had a wonderful stay. Lovely beach days out at Rhosilli and Oxwich, good dog walking, rainy day spent at LC2, sunny evenings in the garden, kids had a blast. Thank you … will be back!! Fantastic! We loved our stay. Gower Edge was a real find and a fantastic base while we reconnected with our roots. Dave next door is a treasure so welcoming and always ready to help in any way. Chris came bearing gifts of chocolate dipped strawberries and the free wifi was the icing on the cake. We will be back! We thoroughly enjoyed staying in your beautiful house – comfortable, spacious and in a great location. Thanks. The house is beautiful and spacious and it is clear that it is well loved and looked after. We had an amazing time at the house and really enjoyed ourselves. Thank you for making this possible and for having such a lovely house for us to stay in for our special occasion. Lovely house, welcome made us feel home from home. Everything you could need. Arranged at such short notice and dealt with extremely swiftly and felt safe in all arrangements being made. Lovely house, welcome feel. Made us feel home from home. Everything you could need. Arranged at such short notice, dealt with extremely swiftly and felt safe in all arrangements made. Lovely house, lovely area, lovely people. Great time had by all. Dunvant club excellent – again! Love, friendly people. Viva Swansea! Thank you for a wonderful stay in your house, a great week was had by all. the people in Dunvant Club made us very welcome and the weather was great. Thank you once again. Had a great time. My stay was very enjoyable as I saw great sites and did various activities. Thank you so much, just what we needed, a real home from home. Thanks for the butcher recommendation. Lamb steaks are beautiful! I really enjoyed my two week stay. The beaches were fabulous. Ali Raj and the Full Moon Chinese down the bottom of the road are excellent. The Range fish and chip shop in Sketty have the best fish and chips EVER! Mumbles has gorgeous Joe’s ice cream! Plus thank you David and Sooty for welcoming us so well. I really want to come again! Fab beach weather. Good base for Gower. A huge thank you for being in a great place to visit all the beaches, Rhossili, Caswell, Langland Bay, Bracelet Bay – and Mumbles of course. And thank you for the wildlife, never seen so many sparrows, blackbirds and of course thrushes. A positive haven. And the weather? SCORCHIO! And thank your great neighbour, David – a gentleman – not forgetting Sooty the cat. Fantastic fortnight. Great house with easy access to all beaches and great walks for dogs. Thank you. Wonderful part of the country to visit – great beaches everywhere. Lots of space in this house for us all to relax. This will be the 6th time we have stayed here, that should tell you everything! It is a great family home and there is always someone at hand when you need someone. As usual the Gower is the best place in the world to live. We had a fab week here. The house is fantastic. The children loved the toys and games and the adults just enjoyed being away from home (in a home from home). Thanks. The house is really great, a real home from home experience. Would love to come again. Lovely things to keep my two kids happy. Many thanks. We had a great say here at the Gower with lots to see and do. The kids loved the wide range of videos and games. A lovely house – thank you! We were here for Christmas week so the space was a huge plus. We really enjoyed our time here visiting some of the fantastic local beaches, we would definitely love to return again in the near future. Thanks. Our usual fantastic stay at Gower Edge. House is so big and comfy – took friends with small children this year. They didn’t want to leave the house because of all the toys. Thank you. We had a great two weeks here in the Gower. What a great place with lots to see and do and the house is so well situated for everything. Great house and great place. Thank you. A warm and welcoming home for our family – loved the games and books. Super kitchen too. A relaxing time had by all. Thanks. My boys loved the train set and space to play. It was wonderful being here, I have totally relaxed and really had a holiday. Breath taking country. We have been coming to Gower for many years. In spite of teething problems the first couple of days, we have had a wonderful two weeks. We love this house and its position on Gower, giving easy access to so many places. We hope to come again. I had a lovely time and saw the boats. We have had a wonderful weekend break in this lovely spacious family house. Our daughter competed in th Welsh National Swimming Competition and between races we enjoyed the beautiful weather. Walks on the stunning beach, ice creams at Joe’s and dinner in Mumbles. Hard to fault it! Very nice spacious house great base from which to explore Gower. Lovely house, very spacious. Gower is beautiful. Had a lovely stay again. Weather good. Thanks again. Another enjoyable holiday. Sun was out for the whole week. Great time had by all. House plenty big enough for us all to have our space when needed. Dogs very happy here too. David next door was lovely,and even put our rubbish out for us on Thursday night. Everyone at the SPAR was entertaining and helpful, especially when we needed a vet for our old Labrador. I would highly recommend Gower Vets, Upper Killay. We planned our week around the weather forecast and had a fantastic time. Loved the dog friendly beaches, kids thought learning to surf was “cool” and the Brecon Beacons were fabulous as ever. Thank you. More than ideal for our visit. So much more to see and do from the comfort of this well equipped and placed house. Thanks. A house with everything you would wish for. A real home from home. Weather mainly overcast, but one day was lovely and we had that on the beach. Mumbles is a lovely little village. Dog loved it here, although he did keep escaping from the garden even though we were sitting in it. Thank you for such a fantastic house. What a wonderful house! Had a brilliant time and met lots of old friends and colleagues. The weather was really good! Even back home they had a 35 degree heat wave. The only downside was that we didn’t have the dogs with us. — Next time! Had a lovely stay while visiting the Eisteddfod. the house was great and we enjoyed the space. The house is great, big and comfy. Lots of activities provided in case of wet days – turned out to be very useful! Easy to reach anywhere of interest – Oxwich Bay was lovely. Thank you for a lovely time! Third time here, still just as good. Beaches wonderful, weather was not so good, but the house has so much to entertain us, and plenty of cinemas, pools, bowling etc in Swansea. Thanks again. Back next year. Lovely very large house which was just as well as it rained for practically the whole fortnight!! Even so, the area is lovely and we did manage to get a couple of days on the beach. Langland Bay is beautiful and a great beach to enjoy, with rocks for climbing and a cafe for refreshments. We would highly recommend it. The National Show Caves of Wales are a fantastic day out and we have left our voucher for the next guests to enjoy £10 off if they decide to visit it too. Lots of room which made us have an enjoyable weekend. good facilities and nice garden area. Would recommend and come back again. Wonderful house – lots of room for us all to spread out so didn’t matter about all the rain. Looking forward to being able to come back again. Had a very enjoyable stay in this lovely well equipped house. The garden is beautiful and the raspberries gorgeous!! Spent time revisiting favourite places and visiting family. Our dog had a great time too. We’ve had a fantastic stay. Very well equipped and comfortable house. Fun days on the beach and great weather. Great place! Thanks for letting us stay, hopefully we’ll be back. Wonderful huge house. We had a fantastic time here, and would like to visit again. 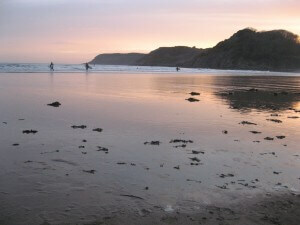 The weather was on our side so we had plenty of days down at Caswell and Langland Bays. the children had a truly wonderful time with all the games, books and toys, and of couse the slide outside. It was a wonderful first time here in Wales. Thank you so much. What a lovely house to enjoy a weekend away! Our dog doesn’t totally agree that the garden is secure but he loved laying in the sun while we watched him! Lots of lovely walks and a great place to “come home” too. Next door neighbours were a bonus – they left us a torch when we arrived in the dark! One of our foster children saw the sea for the first time this weekend – Thank you. House is massive! We had a great time and there was even sunshine! Had a lovely Christmas here with the family. Its our second Christmas staying here and we all really enjoyed it. We all had a lovely time here. Very comfortable and were made to feel very welcome by the locals. The dogs loved the back garden and we humans had tons of space. Thank you for a lovely holiday, we are all keen to return. Had a great time and the house is a home from home! Thank you all. Another enjoyable year. Weather not too good but still had a great time. It was so fantastic here that we returned for our summer holiday. This house still lives up to all our expectations and more. It is really clean and comfortable.Gower is lovely and the people are so friendly, we will definitely be coming here again. Even the weather wasn’t as bad as the forecast said it would be and it was really hot on the beach. Thank you so much. PS Just had an Indian takeaway from Zeera at the bottom of the hill. It was fantastic. Had a great week, weather much improved – chilled out. What a great, roomy, convenient house – and of course the garden. Really enjoyed. Lovely roomy house. Great location to visit the lovely welsh sites. Housed many wedding guests! David next door very friendly. Thanks. House very well resourced with books, toys and games. 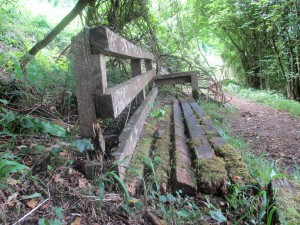 Spent a lovely week – just one really wet day – plenty to do in Swansea when it is raining. The dogs enjoyed some lovely walks and the boys enjoyed the beach. Thank you! Lovely, spacious house, very very friendly locals, especially the Spar shop and David next door. 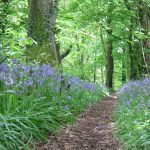 A really good base to all the amenities of Swasnea and within easy reach of the beautiful beaches of the Gower. A really relaxing few days. The house has everything you could ever need and so comfortable. We slept like logs. Had a lovely Christmas here with plenty of room for all the family. The children loved the puzzles and books. Lovely walk for the dogs along the cycle path at the bottom of the road. We all enjoyed our stay. Had a great time! Lovely house! Nice and warm on cold days. Our friends and us really enjoyed ourselves. Great house and an ideal spot to explore the Gower! We liked the way the kids could be rocking out in the front room but the adults couldn’t hear them in the conservatory. Ho ho! Unperturbed by the welsh “summer” we still had an excellent holiday and a comfortable stay! Many thanks” PS Zeera is a great indian takeaway. PPS Thanks to David next door for being so friendly! A very comfortable house with plenty of room. We all had a very enjoyable holiday. Three families stayed here for a week and the space of the house fulfilled our needs. we all had a really nice time here. Really enjoyed the holiday. Weather not so good but the house was so large all the family had a good time. The children especially enjoyed all the games and videos – just like home from home. Thank you for letting us share your home for our holiday. It has a lovely bright and airy atmosphere! We have enjoyed our stay, wether mixed but very windy! Thoroughly enjoyable time – our visit was the “annual meet” of six cousins. Lovely big house. Loads of toys and videos for the kids. We were very lucky with the house as the weather was poor for 2-3 days so we spent a lot more time indoors than we planned. A nice house in a beautiful part of the world. Nice big house and only 10 mins from the Wales National Pool where we have spent the last 4 days at the Welsh Championships. Loads of room to chill out between the swimming sessions for the kids! Great house, great holiday. Weather today 2nd Nov more like mid June than November. Loved revisiting Cardiff now Bay is done. Well worth visit. Had super time thanks. Lovely family home – Great base for visiting our son/grandson at University. Lovely stay, lovely house. We will be back. Lovely stay, enjoyed our stay very much. Hope to be back. A great week with amazing weather. Lovely stay in a really nice house. Would happily come back again. Thank you. A very enjoyable week – the house was very spacious, with lots and lots of toys to enjoy and fruit from the garden. Little grandson especially enjoyed the toys. Stayed for three weeks with our large family of five children. Plenty of room for us all. We enjoyed the garden with its supply of fruits, strawberries, raspberries etc. Stayed whilst our house was being renovated. Only three of us and we found the house to be huge but cosy. David next door was fantastic and the lovely tulips growing in his window box from the day we moved in to the lovely sunny day that we moved out. Having a house such as this whilst our own was being gutted and rebuilt was a godsend. Everything you need is either here or at the SPAR. The house is lovely. Very warm and homely. Had a great time. The neighbours were very friendly and the SPAR shop was most useful. Lovely big house. From Malaysia – we had a wonderful stay at this lovely house – fantastic! Had a fantastic time. The house is fantastic. The Gower Golf Course is brilliant. Great house. So many toys for the kids and lots of space for them to play and run around in! Brill location to explore the Gower – lots of beautiful spots. We have all had a fun week. Thanks! Had a great week despite the weather and have found this to be the best accommodation in nearly 10 years of visiting the area. Our house is going to feel very small! Thanks from all of us. We have enjoyed our holiday. The house was lovely, just what we needed. We have enjoyed our stay in Dunvant. It has been a good centre. The neighbours have been very friendly and helpful and the Spar very useful and keen to oblige. A good week enjoyed by all. Have enjoyed a wonderful 2 weeks in a lovely spacious and well-equipped house. Really don’t want to go home! Brilliant week. Lovely house. Thank you. Thank you for letting us stay in your home. A lovely week! Excellent, roomy house with plenty of toys to entertain the children. Friendly neighbours and easy access to the beautiful Gower.